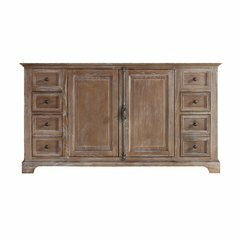 The Provence 24 in. 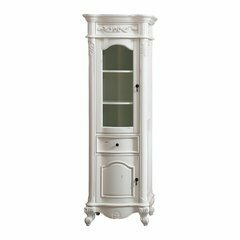 linen tower is offered in a beautiful distressed white wood finish with hand carved French details. 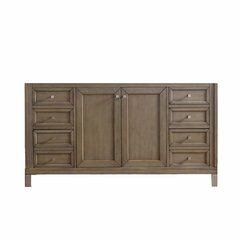 It is constructed of solid birch wood and veneer with soft-close doors and drawers that showcase its quality. 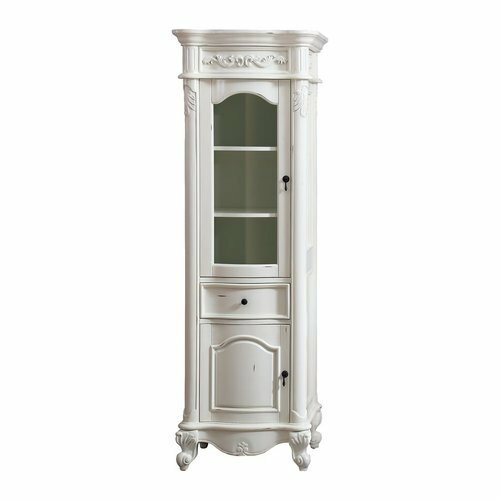 The linen tower offers a clear glass door with interior shelves and soft-close drawer for storage. 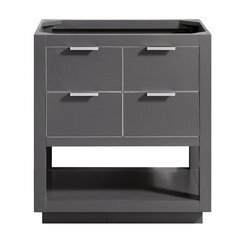 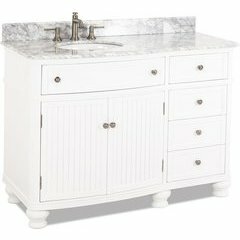 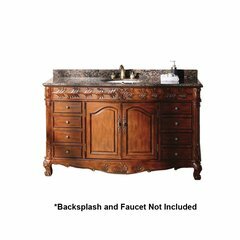 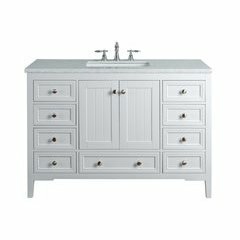 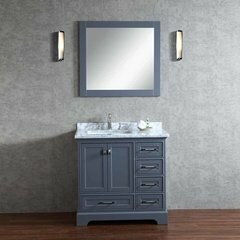 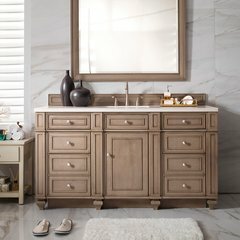 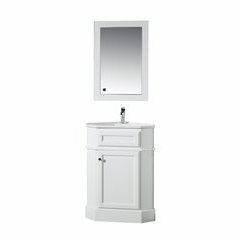 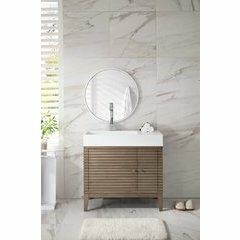 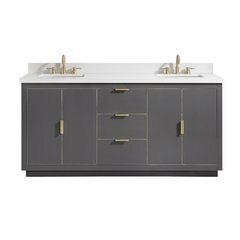 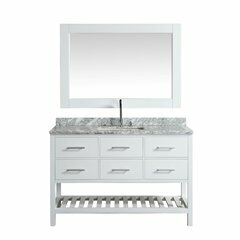 Overall Vanity Width : 24"
Overall Vanity Depth : 19.2"
Overall Vanity Height : 72"